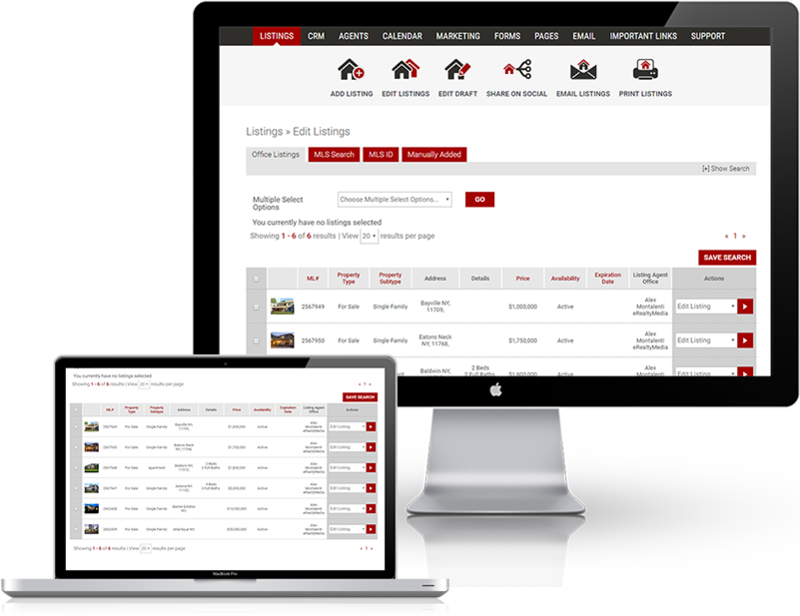 The eRealty Dashboard provides a central place for agents and brokers to manage their listings, manage contacts, update agent info, send emails, access company files, and much more. 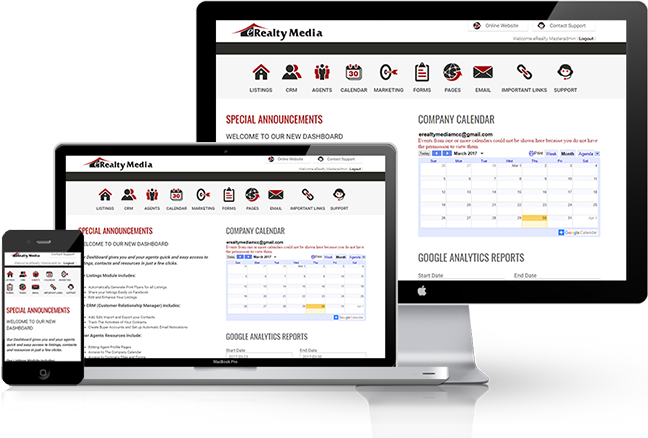 We automatically update your available, under contract, and sold property data from the local MLS hourly. 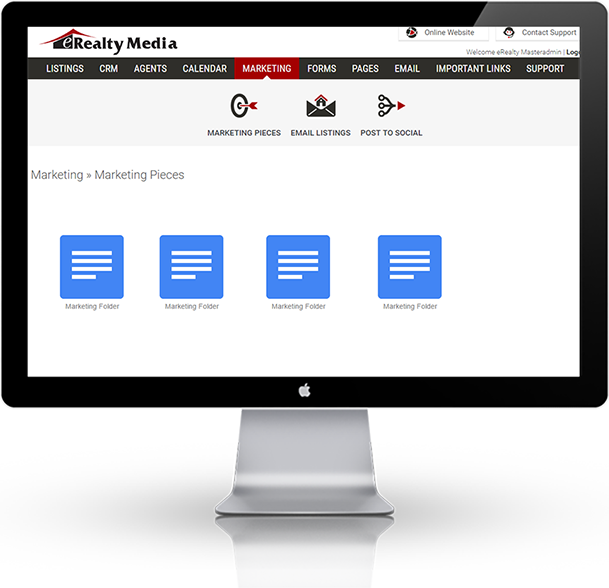 You can even enhance your listings with high resolution photos, expanded ad copy, Branded Tours, FloorPlans etc. 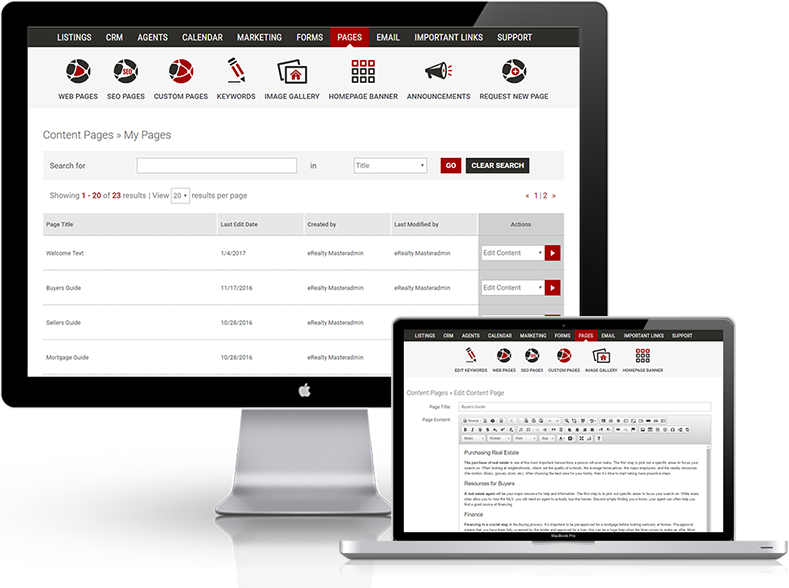 We know there are CRM solutions on the market but not many offer the tie in to MLS data. 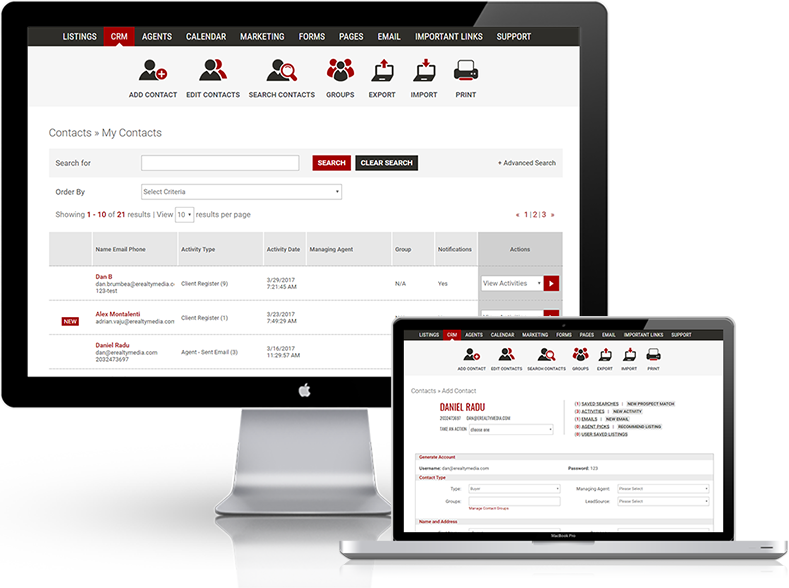 We offer an easy to use mobile responsive dashboard for managing contacts. We automatically update your team directory from the MLS and give you easy access to add biographies, testimonials, listings, social profiles and designation logos. We Love Automation to Save You Time. We are continually adding new automation features for our sites. We want you to focus on what you do best the business of real estate. Internally we use Google Drive for most of our documentation and business files so we integrated Google Drive and Google Calendar directly into the Dashboard. 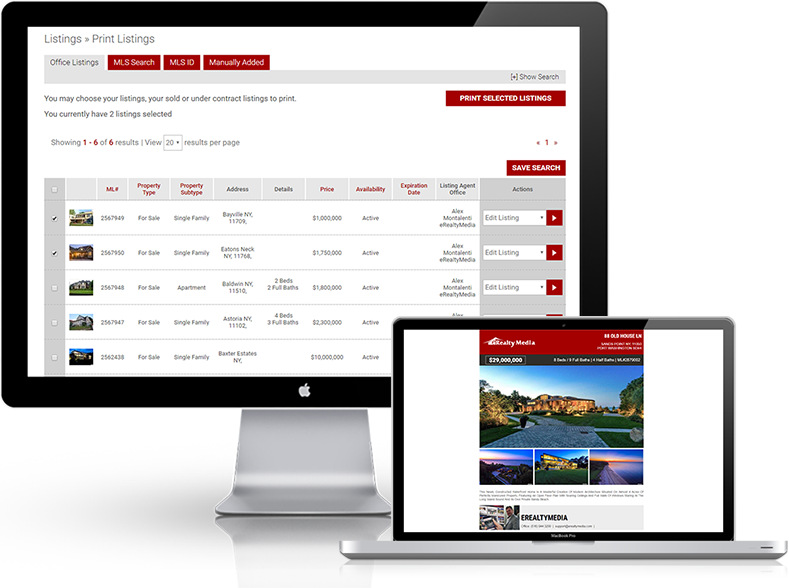 We developed a content management system that was built on making it easy to use for people like my mom and her realtor friends.